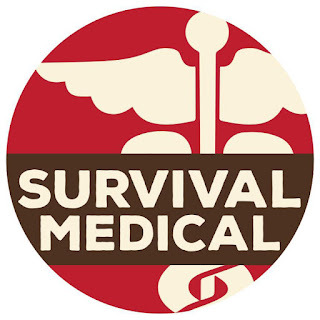 Who better to talk first aid with than with Jon Roberts of Survival Medical. Check out their products at survival-medical.com. The only first aid kits tougher than nature. Up to 20 year shelf life! All Survival Medical first aid kits are packaged in mylar bags and are made up of hospital grade supplies. Not only is Survival Medical one of our sponsors of Prepper Talk Radio and PrepperCon but we are totally in love with their products and buy and use them ourselves. 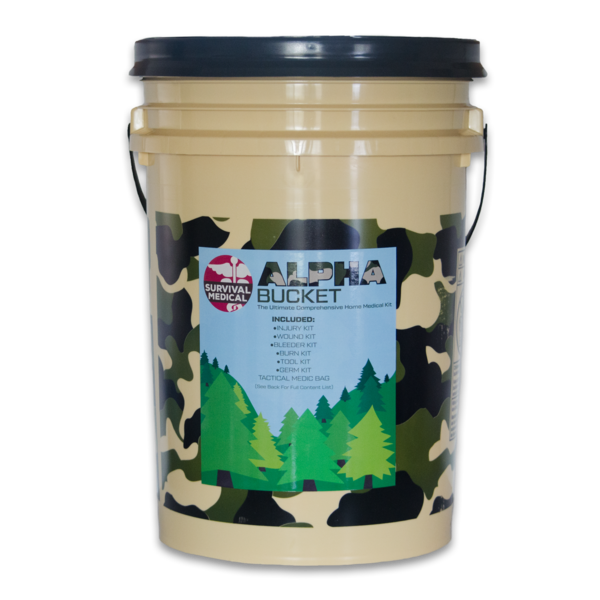 The ALPHA BUCKET is our “kitchen sink” preparedness kit. It is the goal of Survival Medical to provide your family with the highest quality medical supplies possible for your family’s preparedness plan at the lowest price possible. This is the product we set out to make so that it would last and be viable when you need it, and be affordable for your family. If you’ll consider the amount and quality of materials in this kit you’ll see the bargain that it is. he SURVIVAL MEDICAL BIRTH BUCKET is designed for birthing, when getting to the hospital is not an option. 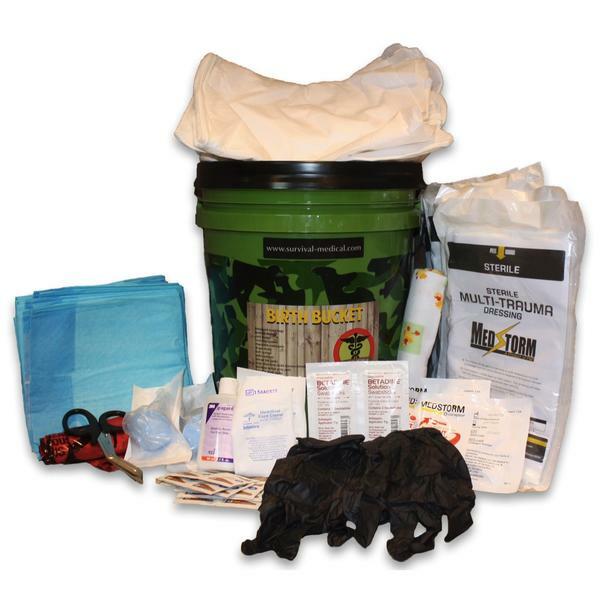 This kit comes in a mylar lined 5 gallon pail with a Gamma Seal lid. The pail liner is sealed, but also has a zipper end for repeated entry while still prolonging shelf life. This is a preparedness product and as such is designed with emergency and grid down situations in mind. If you haven't thought about it before, think about it now… when the grid goes down, the birth rate will go up. The Voyageurs of old traveled by canoe to the remote backcountry hacking their life out of the vast wilderness. The Voyageurs of today seek the outskirts by land and water because their heart pushes them there. This medical kit is designed for the first aid situations these trailblazers and adventurers might encounter. Our packaging system will keep out the elements in even the harshest conditions ensuring that the high quality contents will be ready when you need them. Journey safe, journey smart with Survival Medical. 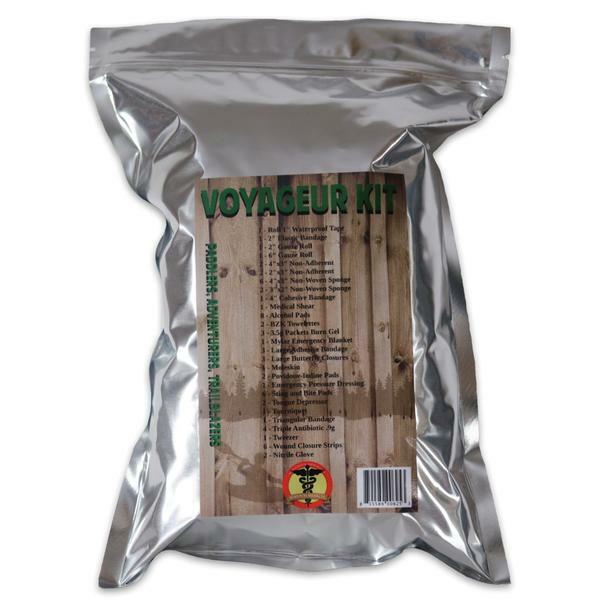 There are many other kits available. You can get them at survival-medical.com as well as other retailers and re-sellers.